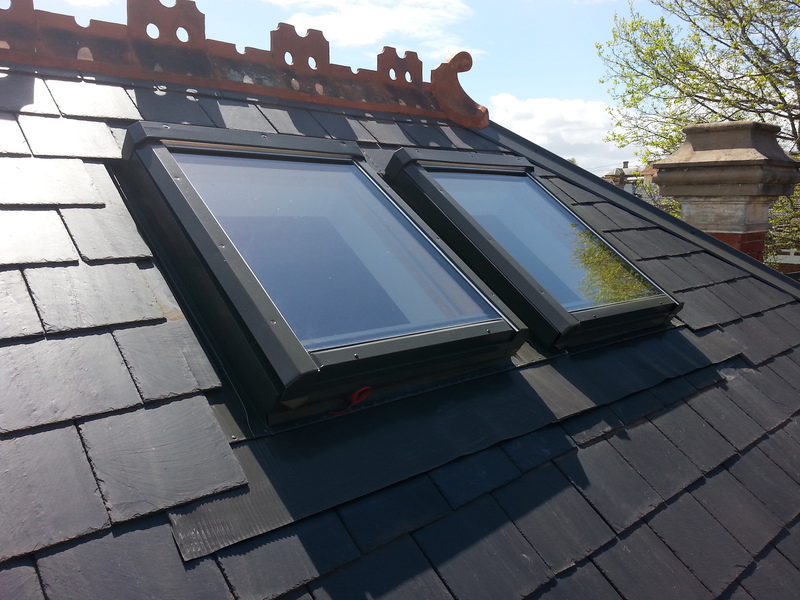 Chimneys on old period homes should be inspected occasionally to see that all is still solid and firmly attached – particularly the last couple of courses of bricks finishing the flue. 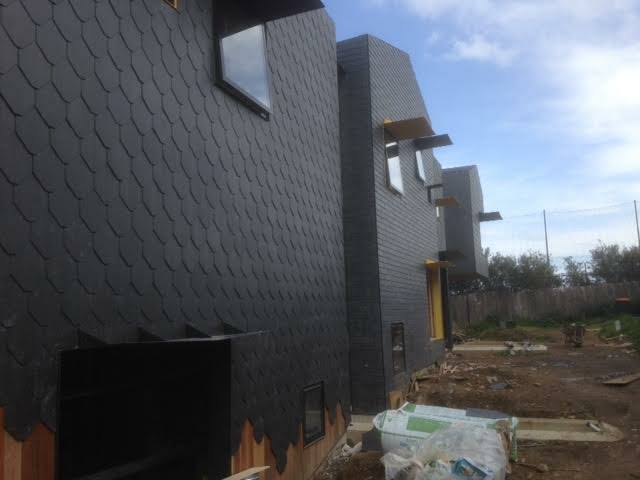 Also seen quite often falling off is the decorative bricks or render that makes up the highest drip edge. 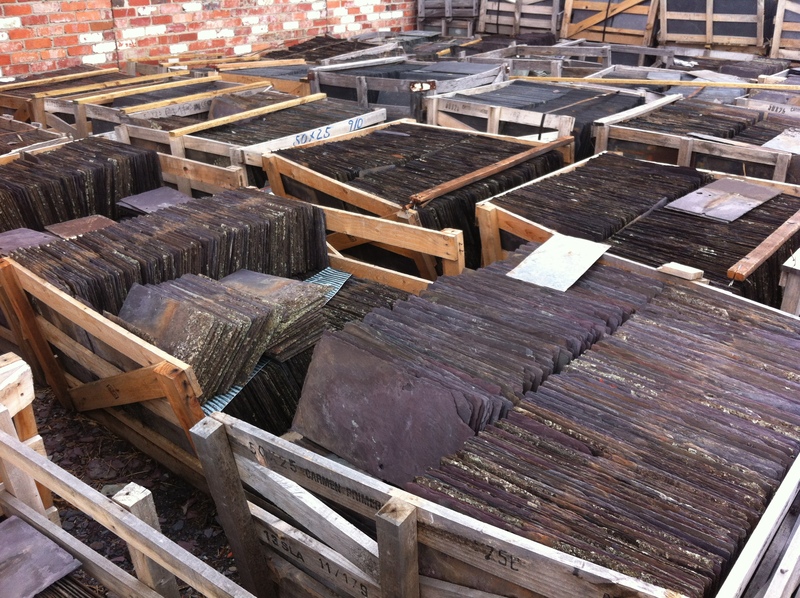 It’s fairly common during high winds around Melbourne that bricks, render or cappings are blown down onto the roof damaging many slates. 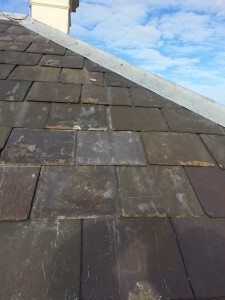 The cost of this slate roof repair in Carlton wasn’t really expensive but sometimes depending on size, pitch and accessibility it can start to add up. 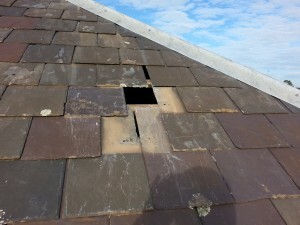 The owners of this property are away on an overseas holiday and it was the neighbor that contacted me to arrange for the repairs. Pretty good neighbor i’d say. Unfortunately for this neighbor she also suffered a bit of damage to her car which was parked in her driveway. 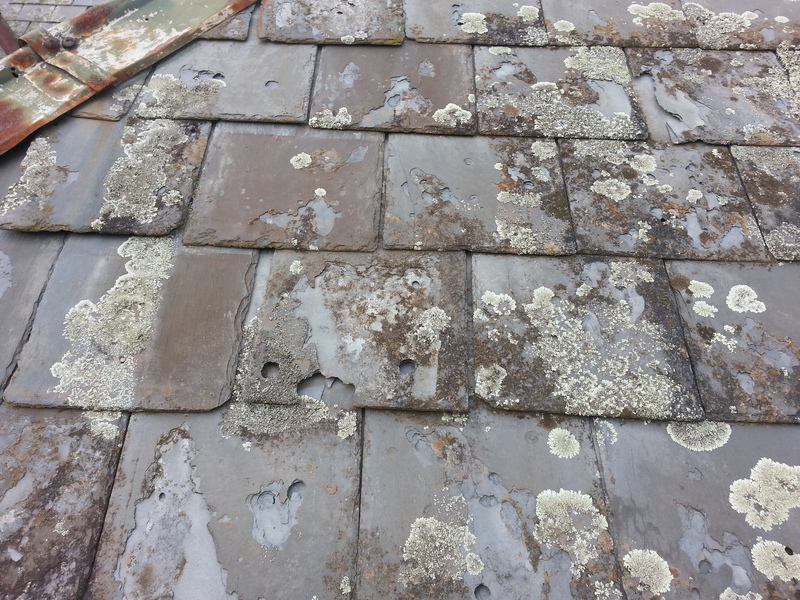 The owners of this property were pretty lucky that we were able to attend to the slate roof repairs quickly. If the neighbor wasn’t such a good samaritan and hadn’t called us on the day of the damage, I’d be pretty certain that the internal damage would have been pretty substantial. 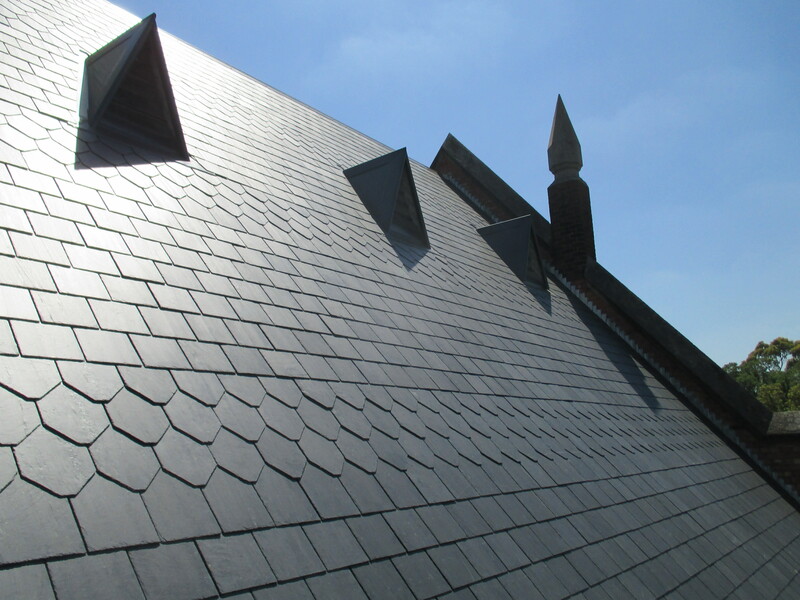 The repair itself was straight forward – cutting out all of the damaged roof slates and replacing them with slates the same size and as close as possible to the color. 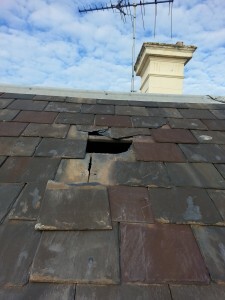 Now all that remains is to see if the owner pays us for the repairs when he returns from overseas. 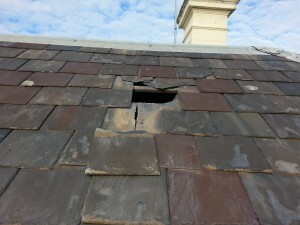 another of the slate roofs damaged areas needing repairs.